Hello All! Welcome back to PaleoNews, a series in which I highlight the most recent discoveries in the world of paleontology. Today, it is a special occasion, National Fossil Day. In light of this, I wanted to take a look at the recent discoveries which contribute to our understanding of Appalachian dinosaurs. One of the most important Appalachian fossil discoveries will be formally released in 2016 (the abstract can be viewed here), and with it, an entirely new group of dinosaurs will have a member on the landmass. The discovery, a partial maxilla, shows a combination of a couple features that is unique to the ceratopsian family leptoceratopsidae (Longrich, 2016). This is extremely important, as the maxilla fragment, hailing from the Tar Heel Formation of North Carolina, is the first record of ceratopsians on Appalachia (Longrich, 2016). Furthermore, the presence of a leptoceratopsid furthers our understanding of the development of the distinct dinosaur fauna found on Appalachia. This new discovery also fills in another gap in Appalachian paleontology. Leptoceratopsids were fairly small dinosaurs, and, as very few small-sized dinosaurs are known from Appalachia, the presence of leptoceratopsids on the continent furthers our knowledge on the small animals which roamed the landmass. A better understanding of the small animals of Appalachia is key to understanding how the ecosystems of the landmass functioned. 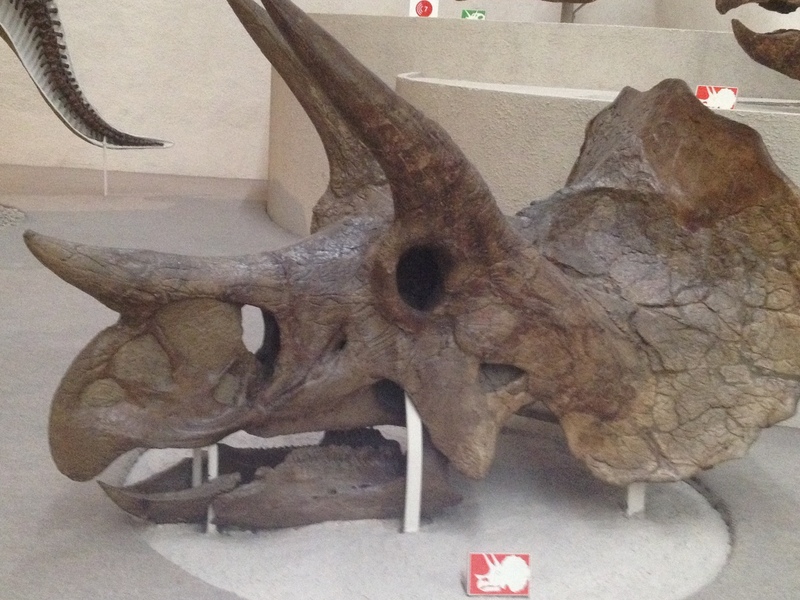 Skull of a Triceratops. Photo by the author, 2015. Interestingly, a dinosaur from the polar regions of Laramidia can very much help with Appalachian dinosaur research. The presence of a distinct genus of edmontosaurine, named Ugrunaaluk kuukpikensis, found only in the polar regions of Laramidia (specifically from the Liscomb bone bed of Alaska)(Mori et. al., 2015) has implications for how dinosaurs evolved in extreme climates. Dinosaur specimens have been reported from Northern Appalachia, a landmass that was at times separate from the more southern Appalachian landmass. This means that the dinosaurs of this northern region may have been unable to retreat to southern oases during periods of hardship, and would have had to brave the polar weather. Ugrunaaluk kuukpikensis provides key information on how polar dinosaur communities functioned and how certain variables within a dinosaur’s environment affected the evolution of the animal. Edmontosaurus, an edmontosaurine dinosaur. Photo by the author, 2015. At dinosaurpalaeo, Heinrich continues his series on Photogrammetry. You can go find the links to the two new articles here and here. At Jason Brougham’s blog, he discusses the changing appearance of the Bennettites, and couples the post with a vignette of one of the plants in question. You can go find the article here. At paleoaerie, National Fossil Day is not taken lightly. Go check out their two posts highlighting famous and common Arkansas fossils in honor of the day here and here. 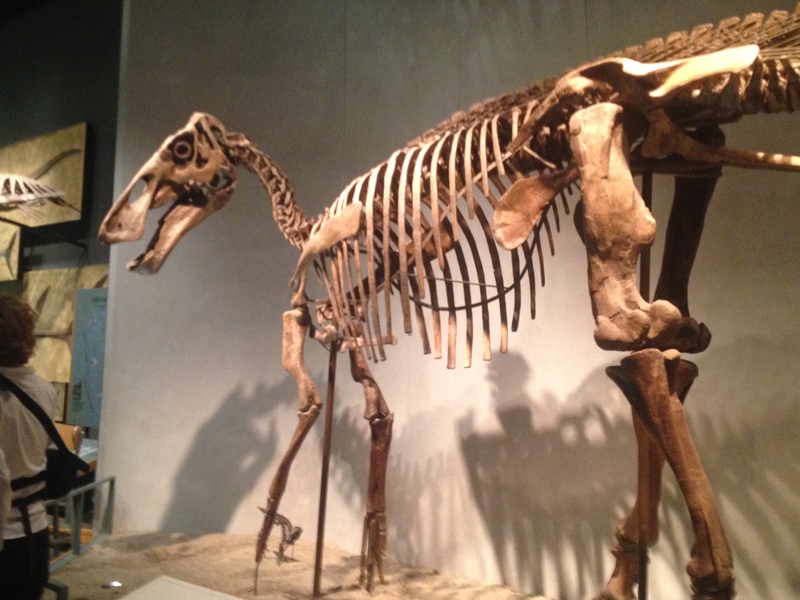 At Mark Witton’s blog, he discusses sauropods and pterosaurs, specifically pterosaur swimming capabilities, how apatosaurs fought and stoic brachiosaurs, the pterosaur-dinosaur fuzz connection, and fat dinosaurs. You can check out these posts here, here, here, and here. This week, we have a cast of the skull of AMNH 5027. This Tyrannosaurus rex specimen was discovered in Montana in 1908 by Barnum Brown and company. 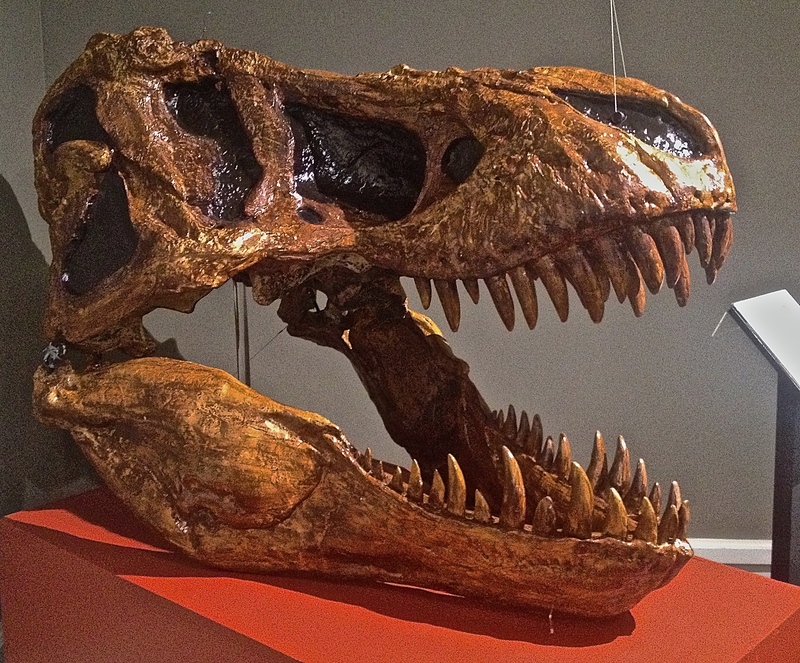 In fact, the skull of which the cast below was casted from was the first complete T. rex skull to be discovered. Longrich, N. R. 2016.” A ceratopsian dinosaur from the Late Cretaceous of eastern North America, and implications for dinosaur biogeography.”Cretaceous Research 57: 199-207. Mori, H.; Druckenmiller, P. S.; & Erickson, G. M. 2015. “A new Arctic hadrosaurid from the Prince Creek Formation (lower Maastrichtian) of northern Alaska.”. Acta Palaeontologica Polonica (Published online on September 22, 2015).